When I had young children I was in lockdown mode most of the time. I didn’t want to gather with other moms and hear their own crying babies, chronic fatigue, and familiar complaints. All I wanted was silence and alone time. I regret that now. I wish I would have taken up one of the dozens of offers to join playgroups, story times, or MOPS. I think I would have found the understanding and revitalizing courage I needed. 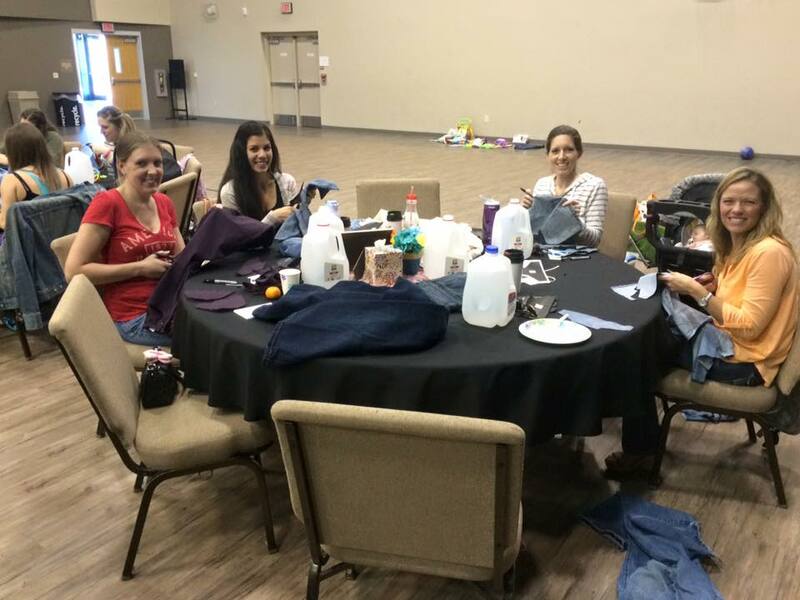 Last month I got to visit two MOPS (Mothers of Preschoolers) groups in California. 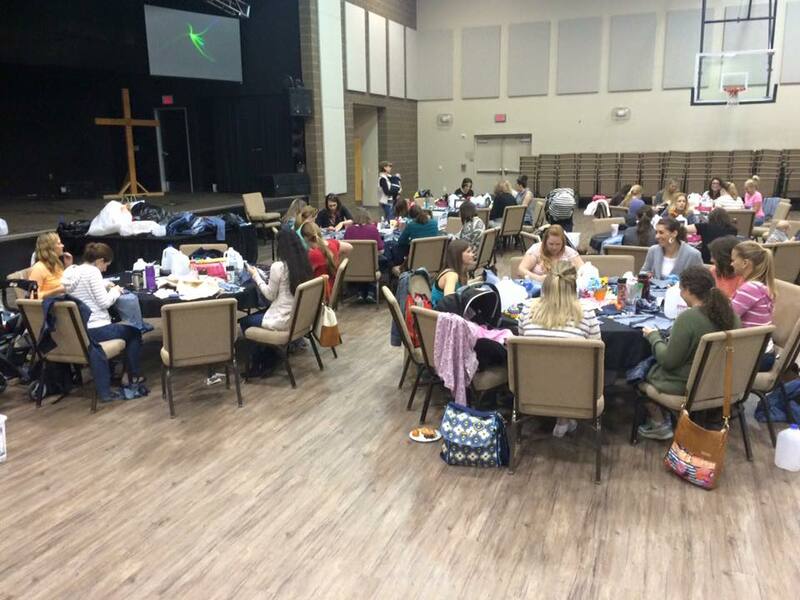 These moms show up to hear and serve each other with empathetic grace. They show up wearing, nursing, shushing, and smiling at their babies. They show up hungry to gather and grow. I was moved by their persevering love. One of the moms, named Stephanie, was introducing a service project to MOPS called “Sole Hope.” It sounded great! I wanted to hear how the project went, so I asked for her contact info. I texted her right away from the plane, “Taking off. Love you.” Of course that text was meant for my husband. Nice. I love embarrassing myself with brand new acquaintances. Stephanie allowed us to move on, and in more appropriate texts agreed to share how their Sole Hope project went. It’s perfect for World Changer Wednesday. Stephanie, what is your MOPS group like? The environment at our weekly MOPS group is very supportive. Having young kids builds strong relationships very quickly – much like I suspect men in war feel. We are in the trenches together and we offer each other support through desperate moments. Friendships develop very quickly because of this. Every week, we share a hot breakfast (that we don’t even have to share with our kids! ), a devotional, a craft or speaker, and some time for prayer requests. We have two hours together on Mondays and I know a lot of the moms really look forward to those two hours throughout week. Sole Hope is an organization that is striving to prevent disease spread by jiggers in Uganda. Jiggers are a sand flea that can burrow into the skin of the foot and lay eggs. The wounds can make daily activities such as walking, playing, and attending school difficult or impossible. The wounds are painful, can become infected and the infections can lead to death. Sole Hope cleans the victims feet so that they are jigger free and provides them with a pair of shoes to prevent future infection. 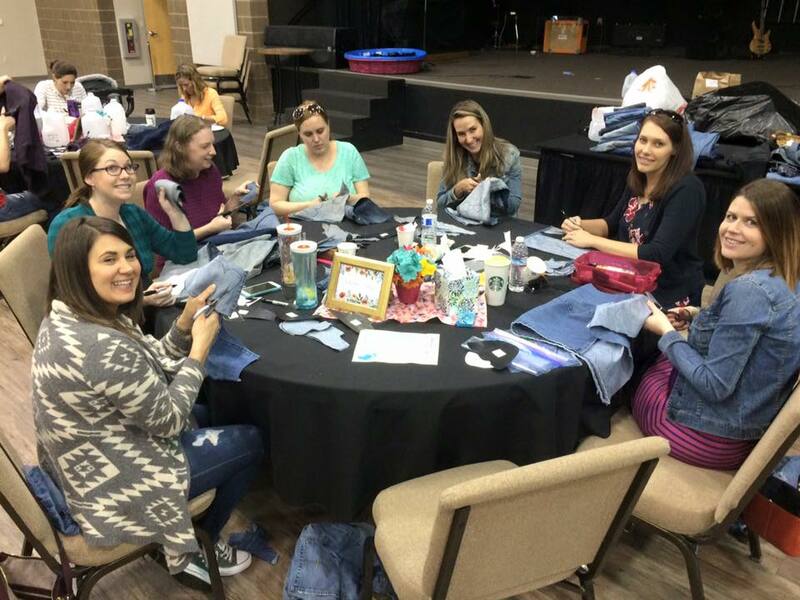 At the Shoe Cutting Party, we took pairs of jeans and milk jugs and used the provided patterns from Sole Hope to cut out the materials to make a pair of shoes. The materials are sent, along with $10, to Uganda to pay someone in Uganda a living wage to make the pair of shoes. They also add recycled tire to the bottom of the shoe as the sole. I love this idea and this process! Why did you think Sole Hope and MOPS would be a good match? We do crafts at MOPS all the time, and they are always very cute. We wanted to use this craft time to do something bigger than cute. We wanted to impact someone else’s life. The commonality amongst our group is that we are moms, and as moms, it is hard to imagine seeing a child suffer. Our group cut out shoes in the size of a Toddler 10, which helped us visualize the small child that might be receiving that shoe. As a mom, I think it is natural to want to help children, here or on the other side of the world. 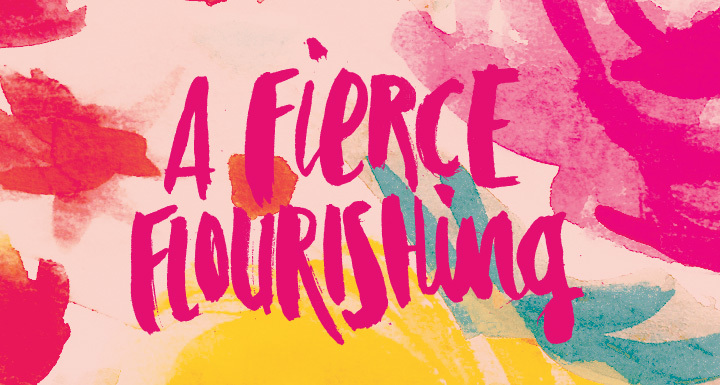 As a group, we are able to accomplish so much more than individually, and we want to harness this power. This group meets at a church, but not everyone that attends is a Christian. We want to show that we serve a loving God and that we are proof of that love. I think people are much more likely to want to develop a relationship with Jesus if they see his followers being a good representation of that love. On this day at MOPS, we were able to give someone shoes who had no shoes and do it in the name of Jesus. One thing we should have done differently was making sure people knew to thoroughly wash out their milk jugs before bringing them in. Several people went to cut into the milk jugs only to find stinky liquid or gross mold. It was pretty nasty. The other problem we encountered was that we didn’t anticipate was how much time it would take to complete the project. We thought it would take 15 minutes to make one pair of shoes. Maybe we were distracted by chit-chat, but we were all scrambling to finish at the end of the hour we had for the craft. In hindsight, I wish we would have allotted more time. The hardest part was asking these moms for $10. I wanted everyone to participate and didn’t want to deter anyone from participate that day because they didn’t have $10 in their budget for this project. Sometimes it can feel like someone is constantly asking to contribute to one cause or another, and we all have different things we are passionate about. I figured not all 45 women in this group were going to be PASSIONATE about this project. The surprising thing was when we collected all the shoes and money, we had WAY more money than shoes. We were pleasantly surprised! The best part of this project was looking beyond our own lives for the morning. Sometimes as moms of young children, our lives can feel mundane and we can’t make an impact in the world. 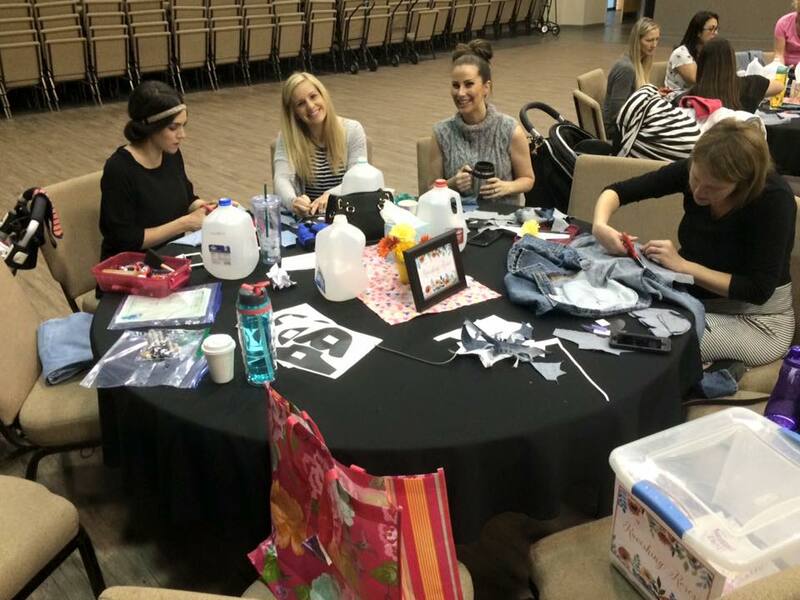 This project showed these women that they can make a difference with just a few items in their house, an hour of their time and ten dollars. And as a group we can have an even greater impact. What advice would you give others thinking of doing a Sole Hope project and/or going to MOPS? My advice for someone thinking about doing a Sole Hope shoe cutting party is to definitely rinse the milk jugs thoroughly! I would say to read the provided directions before the party. Sole Hope has done a great job with the materials they supply to explain every detail of the project. If someone is considering joining a MOPS group, my advice is DO IT! I have developed so many wonderful friendships through this program and I have seen it bring women closer to Christ. Plus, like I mentioned above – we get to eat a hot breakfast that we don’t have to share with our kids! Thank you, Stephanie! I love this so much! 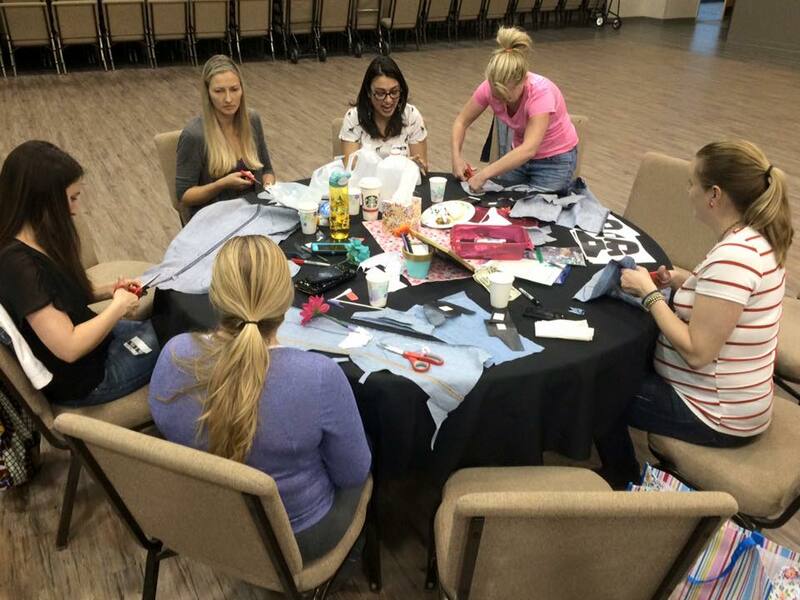 Hillary Clinton has said, “there’s no such thing as other people’s children.” These moms in a swanky suburb in California came together to provide shoes for toddlers in Uganda. Such a great fit! Such a great example of doing what you can with what you have. Do you have a gathering? Your own MOPS, playgroup, or bible study? Your co-workers or commuting friends? Your basketball team, book club, or neighbors? What could you all do with $10 each and 2 hours? Think about asking them. I bet amazing world-changing things will happen. © Copyright Aimee Fritz & Family Compassion Focus, 2016.